The groundswell is a completely different way people relate to companies and each other. It has changed the balance of power between companies and their customers. This new era has been created by people's desire to almost always be connected with others using interactive Web 2.0 technologies. Vern Burkhardt (VB): What is the groundswell? Charlene Li: The groundswell is a social trend where people use social technologies to get what they need from each other instead of being dependent on getting what they need from companies. This may include information, ideas, support, and even products. Social technologies involve a wide range of things available on the Internet including web blogs, wikis, podcasts, Twitter, Facebook, YouTube, sites where people buy and sell from each other, and news sites written by volunteers. It includes the tagging of information, such as websites users wish to monitor. Most interesting is that people can tag the information they put on the Web, and alternatively customers can decide how they will tag various companies. More than anything else, the groundswell is about the relationships people form using online tools to connect, get what they want, and be in control of their experiences. They couldn't obtain these things previously, either because they never found others with common interests, or because they merely relied on getting them from institutions and organizations. Now people can get information, and so much more, from people who have interests like themselves. The groundswell affects every industry whether the businesses sell directly to consumers or to other businesses. It's global and unstoppable, not that anyone would have the ability to stop this phenomenon. There is even an internal groundswell within many companies. They create ways for people to connect and work together – it's about relationships. In this context teams of people use support and collaboration tools such as wikis. VB: What led you and co-author, Josh Bernoff, to use the term "groundswell?" Charlene Li: Josh and I were brainstorming about the book and I was writing ideas for keywords on a piece of paper. The thought and word "groundswell" came to mind, I wrote it down, and we thought it would be a good title! VB: In your book you say the groundswell is not about Web 2.0 technologies such as blogs, social networks, wikis, open source, forums, tags, RSS and widgets. What is important is the community these things create. "Relationships are everything." What is behind people's need to connect with others online – some may even be strangers? Charlene Li: The thing is that they are not strangers. A stranger is somebody you have absolutely no idea about who they are. You walk down the street and if you start talking to strangers it is about nothing of great significance because you probably have nothing in common. Social networks combine people who have a similar interest or interests. It's not that different than if you are at a baseball game talking to the person sitting beside you. You are not truly strangers because you both love baseball; perhaps you both love the Cubs. VB: We have a common interest. Charlene Li: We have a common interest and it becomes the starting point for a relationship. You are in the same class in school as me, we go to the same church, or live on the same street. We are part of a community, and because we have something in common, you are not a stranger. VB: Would you talk about what Caterina Fake, cofounder of Flickr, calls the "culture of generosity" and you call the "search for psychic income" in the groundswell? Charlene Li: Psychic income comes from the fulfillment you experience as a result of being part of a community. You may receive a tangible benefit by being part of a community but why do you contribute to something when you don't receive something back? You don't receive something tangible such as the ability to save money. Why would you help somebody? There's a psychic income that you earn, knowing you have helped somebody else. It is a very human trait. Understanding how to capitalize on the desire for psychic income is a central component of groundswell thinking. VB: You say there's no going back – the groundswell trend is unstoppable. Is it inevitable that all companies must embrace the groundswell if they are to survive in the future and be innovative? Charlene Li: They absolutely have to. They can't hide from this phenomenon. Even if they don't participate in the groundswell, they are going to be impacted by it. If your business depends on people and relationships, it's inevitable that social technologies will impact you. It's another way of having a connection, a communication tool to existing and potential customers. VB: Will "groundswell thinking" be the key differentiator between successful and unsuccessful companies, and, for that matter, among employees? Charlene Li: Look at it this way. If everybody had phones and they were connecting with each other through phones, wouldn't you want to get a phone too? It's the same thing. Social technologies will increasingly be all pervasive. VB: It's similar to when facsimile machines were introduced into the marketplace. Charlene Li: Or email. If you encountered a company now that did not have email, what would you think of it? VB: You would think they were archaic. Charlene Li: Yes. It is the same thing. And you probably would be unwilling to use the services or buy products from such a business. VB: You say, "Listening to the groundswell will relentlessly reveal your stupidity." Does revealing our stupidity help us be more innovative? Charlene Li: It tells you where you are falling down. By it's nature it tells you where you need to improve. VB: Would you talk about the "groundswell approach-avoidance syndrome?" Charlene Li: Approach-avoidance means you can't help but be drawn to the groundswell like a moth to a flame, but you are also very afraid that you are going to get burned by it. I love the various social technologies. They look interesting and seem powerful, but I'm also absolutely terrified by them. I start backing away because they seem full of risk to me or to my business. The risk giving up control and I don't want anything to do with that. VB: I'm very nervous about how it will affect me. Charlene Li: Very nervous, and understandably so. It makes you rethink everything about the way you previously thought about relationships; the way you dealt with customers; the way you dealt with employees; and even the way you approached business partners. Everything is being driven by the groundswell. The rules are changing completely. In many ways the social technologies are very basic. If you look at relationships as something you need to nurture, and use the tools to nurture and grow relationships, it starts making a lot more sense. If control is the thing you are most worried about giving up to the groundswell, then you need to re-think what types of relationships you want to form with others. The best relationships are not controlled. And you definitely have to give up control to the groundswell. VB: You talk about energizing the groundswell, and how energized customers are the best sign that a business is healthy and will grow. What are energized customers? Charlene Li: Energized customers are your biggest fans. They are so thrilled to be associated with you and to have a relationship with you that they want to tell the whole world about it. VB: Do they add energy to the company? Charlene Li: They can. Absolutely they can, because you can draw from their enthusiasm. It's energizing when people are saying you are doing a great job. It's very satisfying. You feel good about it. You can't help but draw energy from that. When you are down, your best customers are energizers and they'll pick you up in many ways. They'll help energize your employees. VB: Would you talk about the "Social Technographics Profile," and why companies need to reach out to Creators and Critics? Charlene Li: The Social Technographics Profile, which we talk about in Groundswell, categorizes online consumers by how they participate in the social technologies. At the top of the Social Technographic Ladder are Creators who publish, at least monthly, a blog or article online, maintain an up-to-date Webpage, or upload content to social media. The second category, Critics, reacts to other online content. They post ratings of products or services, comments on others' blogs or in online forums, and contribute to wikis. Together Creators and Critics often have the largest voice and influence in the marketplace. And they represent about half of the groundswell – the people in the U.S who are online. They have the power to publish. They have an audience. They reach out to people and influence their buying decisions. There are many ways they exert that influence. One is by writing reviews that have a large following of readers. You need to be very cognizant of what the Creators and Critics are doing. Listening to them is wise, but it's also important to be very agile at engaging them in whatever way they want to be engaged. VB: Are different strategies required to appeal to consumers who are Collectors, Joiners and Spectators? Charlene Li: I think so because these people form the foundation of the consumers in the groundswell. In many ways it's more important to focus on these consumers than on the Creators and Critics. Since we wrote Groundswell two years ago, my thinking about the Social Technographics Profile has changed and advanced somewhat. I have recently been seeing that we have Spectators and a layer above that – it's not so much a question of Joiners and Collectors as it is about consumers sharing. These consumers form the foundation for the groundswell. They are the audience that energizes Creators and Critics to generate content and information in the social media. Without this audience Creators and Critics will not receive psychic income and will cease to generate content. The proportion of consumers who share through social networks has grown rapidly, even since we did the research in 2007 for the book. VB: You point out that in 2006 marketers worldwide spent about $400 billion on advertising, much of it on television commercials. Shouting at customers doesn't work but conversations and engagement with them through social technologies do. Does this suggest there will eventually be an end to commercials in television and print media, and will they be replaced by other strategies for tapping the groundswell – for reaching existing and prospective customers? Charlene Li: A new type or form of media communication never completely eliminates the one before. It's amazing that there are still telegraphs and ham radios in existence and being used – though not very many. The current forms of media are still strong and viable, and fulfill a need that social media can't. That said, I think we are going to see constant changes with the social media so this story is far from over. VB: The traditional media is certainly being threatened financially by the groundswell. Charlene Li: Yes, there is no doubt about it. VB: You say you receive more questions about blogging than any other groundswell technology. Why do you think that is the case? Charlene Li: It's nerve racking for companies to become involved in blogging. It's not the same as simply issuing press releases or giving media tours. It means the executives or staff have to put their points of view on a blog. It commits them to these views, and enables others, including their customers, to publicly reply. Replies can be negative and companies can't stop them from being in the public eye. Web logs seem to be a powerful vehicle. So, there's a lot of angst about blogging, but there's also a lot of interest in it. That said, I also receive a lot of questions about Facebook and Twitter. I'm asked whether Twitter will be around in 6 months. And what is Facebook's business model? Many people I talk to are curious about these social media in much the same way people are curious about blogging. VB: When you start a blog you have to stay the course, persist in updating content, and continue active participation in the blog. It can't just be a flash in the pan. Charlene Li: Right, it requires persistence and focus. VB: You have said, "Social networks will be like air." "Your friends will be wherever you need them." "Five years from now it will be archaic that we need to go somewhere for social networks." Are social networks the essence of interacting on the Internet, and what are some of the implications for businesses? Charlene Li: Social networking is about your online interactions and your social grasp, so to speak. Social grasp refers to the people you closely interact with – they're the only ones who know what you're talking about because they're part of your close online community. We are going to get to the place where interacting with your close community of interest is going to be so commonplace that you won't even think about it anymore. You will be involved with many communities. Your network will be an integral part of your life and online interactions. It'll be just like breathing. It'll be everywhere you want it to be, and anywhere you need it to be. The groundswell will be ubiquitous; it'll be an integral part of every activity you're involved in – not just on your computers. Your mobile devices will be an integral part of your work and your non-work life. Being social is something you do every day. Why should you have to go to a certain place like Facebook to be social with others? You want to be social as a natural part of your every day life. You won't even have to think about going to a webpage. You won't think about and go to a separate site to check your email. And for many people, if they don't have access to this level of seamless social networking they'll be kind of bummed. If you don't have online access to your email through some sort of device or an ability to connect to the web, you feel like you are missing something. It's like you can't really breath or see clearly. I think at some point social networking will be like that too. VB: You've said that you are not worried about the technology. It will enable this vision. Charlene Li: Yes, I'm not too worried about it. Who knows what the technology will look like – it will take many different forms. People ask me all the time, "What's next?" and I say honestly, "I don't know." "I wouldn't be doing this type of work if I knew what's next!" I say that tongue in cheek. I don't worry about what's next, because by the time it gets big enough for me to notice and care about, there will still be plenty of time to figure out how to use the technology before it gets mainstream use. VB: Will the marketplace decide what's next? Charlene Li: I wouldn't say the marketplace because what's the "marketplace?" Is there a marketplace for Twitter? It's not a viable business, so to speak. In the end the network of users will decide whether something meets a current need that can't be fulfilled in any other way. Twitter definitely does that now. It's not going to disappear unless it doesn't work. VB: You have identified three components of social networks – universal identity (who you are), contacts (who you know), and activities (what you know). Would you talk about this? Charlene Li: I talked about that way back in 2003. Identity is the foundation of your reputation and we have many different identities, many different sides to our personalities that we show to people. I am a Mom. I am a member of a school. I go to church. I live in a community. I work. These are all different sides of my life that I share with people. Then there is a private part of my life that I show only to my girlfriends. They're very special to me. I can really let loose and be myself when I am around them. I can be snarky. I can be nasty. I can be grouchy around them and it's really cool. It's fun. I would never show that side to most people in those other communities. I don't get to see my friends often. I usually interact with them on Facebook, because I can keep it fairly private that way. VB: You trust that it will be kept private. Charlene Li: Well, yes, they are my girlfriends! VB: No, I meant in terms of the technology – Facebook, Twitter, and other social technologies. Charlene Li: At some point you have to trust somebody. The rule of engagement is that you have to trust somebody, otherwise you would never engage in the groundswell. By and large, there is no reason not to trust the social networks. I like to say "In Google I trust" because so much of my life is on Google. I have a vision of the U.S. dollar bill bearing the words "In Google we trust" where normally it reads "In God we trust". In the end you have to put your trust in somebody if you are going to engage with your communities of "friends". VB: So, Google may become the new God! Charlene Li: In some ways, it already is! It's pervasive. VB: How can social networks contribute to individual and corporate innovation? Charlene Li: In so many ways. Think about allowing your customers to talk to each other and generate ideas you may find useful. Starbucks does this better than anyone else. They have a website, myStarbucksideas.com, and anybody can contribute an idea to it. Customers can vote on the ideas, and people inside the organization monitor and review these ideas, comment online about them, then take them to the Starbucks organization for consideration. Later they enter Starbucks' response onto the website, seek more responses, and collaboratively develop the ideas. Through this website Starbucks learns which ideas have resonance with customers, and which don't. Starbucks' representatives can also submit ideas, and see what works and what doesn't. Dell does the same thing with its IdeaStorm community, which was launched in February 2007. They can say, "Hey, we are going to have a rant right now. We have ideas we want to post on the site and see which ones get traction with the online community." So, why wouldn't other companies do a similar thing to invite input and feedback from customers and potential customers? Some might object to openly sharing new ideas. Some might be concerned that Starbucks' competitors, such as Pete's Coffee or Dunkin Donuts, can see the innovations that are being discussed online at the Starbucks site. But those ideas are really specific to Starbucks. Can competitors use this knowledge? Yes, there is some potential for that but in the end Starbucks calculates that it is better off having this type of dialogue and relationship with its customers. VB: This dialogue further commits their customers to them. Charlene Li: Exactly. It definitely gets their loyalty. VB: The social networks are changing rapidly. What are some of the things you have learned since writing Groundswell that you would change or add to the book if you were writing it today? Charlene Li: That's a good question. No one has asked me this! If I could do a revision, I would change the Social Technographics Profile. When we were developing it there wasn't what I call the "culture of sharing." We were just on the cusp of this phenomenon. This culture of sharing has implications for a company's engagement with its customers. The engagement pyramid I have been talking about recently has Watchers at the bottom, and Spectators just above them – they consume what others produce by way of blogs, online videos, podcasts, reviews and forums. Above the Spectators are Sharers who share information about products. This sharing is not necessarily done through social media channels. It's also done through my personal networks of communities of people with interests that are common to mine. VB: You have an active blog. How does it contribute to your consulting practice? Charlene Li: It's where I do thought leadership. Instead of drafting long reports that are tedious to write, I can put out a blog post and put a lot of thought into it too. I can also use it to promote and tease actual reports that I write. I'm not that active of a blogger. I could be much better if time permitted. VB: You are the founder and principal of Altimeter Group? Would you tell us about the origins of that name? Charlene Li: I went to a naming agency, because I couldn't think of a good name! My focus is on emerging technologies from a strategic, high level. This pursuit leads to "low altitude" questions that get very detailed about how the social technologies work and what they enable. So I am often balancing between knowing the nitty gritty details surrounding emerging technologies – being able to get low to the ground – and also having to consider and talk about the strategic impact of those technologies. The value proposition of Altimeter is that we can work with clients at multiple levels, from strategic questions to detailed, practical matters regarding the use of social technologies for business success. VB: On your website you say "Altimeter Group helps companies focus on the strategic goals they want to achieve, and then figure out which technologies can help them achieve those goals." How do you do this? Charlene Li: We provide information and predictions about where the social technologies are heading. We help companies interpret these trends and directions and focus on their strategic goals in terms of what they are trying to accomplish as a business. We then put the emerging social technologies into the context of their strategic goals. Because we are a small firm we work with only a small number of companies, but we do this in a very close partnership manner. Because we get to know these companies intimately we can have strategic discussions and work with them in depth. VB: When did you start your company? Charlene Li: A year ago. VB: Has your increased understanding of the groundswell, which has resulted from writing the book, changed the way you approach your research and consulting work? Charlene Li: In many ways. Even when I was at Forrester, I couldn't imagine doing my work without taking advantage of the wisdom and input of the groundswell. I'm currently writing a new book and am half finished the initial outline. I'm testing it through the social media. I can't imagine even finalizing a title or the outline and design of the book without going out to people on my blog and on Twitter and asking "What do you think of this idea?" "Do you have any better suggestions?" I use these tools all the time to ask people questions for my research work. I might be in the middle of a briefing and hear something from a company representative that doesn't quite resonate with me. I'll jump onto Twitter during the briefing and ask, "Does anyone know anything about this topic?" "What do you think about A versus B?" I'll read the replies to my Twitter during the meeting, and report back, "You know that comment you made earlier? I asked my Twitter audience and ten people have replied. They don't buy what you are planning to do. How do you respond to that?" It's amazing but I can do that in real time. VB: When's your new book going to be published? Charlene Li: May of 2010. VB: What is your topic? Charlene Li: I would love to tell you about it. If I look at reasons why social media isn't being adopted inside organizations it is mostly because companies are afraid to let go of control. They are terrified of what it means to be "open". So, the questions I'm asking are: How open does an organization need to be? How open do leaders need to be? I believe that openness is not an absolute. It's on a spectrum you can measure. By knowing how open you are now, as a leader, as a person and as an organization and figuring out where you need to be in order to accomplish your strategic goals, you can decide how open you want to be. And you can figure out how to get there. What structures need to be put in place to make sure your desired level of openness is reached? I think of it as structured openness, where it is not just throwing things to the wind. You are giving up control in order to be in control. So one of the possible titles for my book is Open Leadership: How to Give up Control and Stay in Command. VB: I look forward to reading it, and would love to talk to you again once it is published. We could feature it on IdeaConnection. Charlene Li: That would be great. VB: You are much in demand for speaking engagements. How do you keep current with all the changes that are occurring in the social network sphere, and manage to continuously update your predictions of the future? Charlene Li: I target what I look at, what I read, and what I do. I don't pretend to know everything that's going on. Someone will ask, "What do you think of this?" and I reply, "I haven't heard of it." I'm perfectly comfortable saying that, and my next remark will be, "Tell me about it." I'm constantly playing catch up because I keep focused on the things I'm working on. I read very few blogs on a regular basis. I don't check my RSS feed nearly enough. Frankly, I depend on my community to tell me what is important, what I need to be aware of. VB: What Social Computing and Web 2.0 research projects are you working on? Charlene Li: I'm looking at social media policy. It's part of the process of writing the new book, because I believe companies need to have a clear policy. Unfortunately, most written policies tend to be like legal documents setting out what to do and not do. What's needed are social media policy documents that help companies think about how they are going to approach, and be involved with, social media. What kind of relationships and trust levels do they want to have with their employees and their customers? More than anything else the documents should advise how to use the policy to help get business and work done. In particular, instead of thinking of social media in a theoretical manner, the approach should consider how these media can help prevent problems and, when problems do arise, how to deal with them using social media. The idea is to avoid a situation like "Dell hell", which we talk about in the book. Companies need to listen, engage, and act on feedback received in the social media as Dell eventually did after one of its notebooks caught on fire at a conference in Osaka, Japan. VB: What are some outstanding questions still needing to be answered? Charlene Li: There are so many. I'm constantly asking them. Measurement is always a key issue. Another is what is the appropriate tone and voice for social media, and how can a more positive tone can be encouraged. There seems to be a tendency for people to be snarky instead of pleasant or professional in social media right now, and I can't stand it. There's also the question of personal versus public content and interaction. How do you balance the two? What is appropriate in terms of the time and effort people put into use of social media. You can get sucked in and end up spending incredible amounts of time and energy being involved in it. Also, what is the appropriate level of involvement for an organization? The questions that could be researched and considered go on and on. And even before we get answers the next big, whizbang, interesting thing will come along, and all the questions will need to be re-written! VB: Another question is how to filter what's true, what's not quite true, and what's blatantly false among all the content we see on the Web. Charlene Li: Well, that's always been the case, even with our traditional news media. If you read the New York Times, and listen to FOX News, you get two different sides of the story. Who do you believe and what do you consider to be true or false? VB: Perhaps the social media allow more balance because communication is two-way? Charlene Li: It's not that different than the bias of a newspaper or other mass media. There will likely be inherent biases depending on the nature of the social media communities you are a part of. An example is all the questions about end of life in the health care debate right now in the U.S. If you read the document it says one thing, but a lot of people are very upset about the thought of government death panels. These panels don't even exist, but the topic has become an outlet for people who are at their wit's end in terms of government intervention in their lives. It's interesting to speculate how the social media could improve the dialogue about health care issues, compared to how it typically occurs inside closed communities or through the traditional media. VB: How can the groundswell support innovation? Charlene Li: Your customers and other communities can be a great source, both of new ideas and for feedback on your ideas. Listening to the groundswell will enable you to develop your business strategies. You can involve the groundswell in your innovation processes and reduce the likelihood of making expensive mistakes. VB: Thank you for taking the time to talk to us about the groundswell. The groundswell is global, unstoppable, affects every industry, and is not "a flash in the pan." Rather than thinking of the groundswell phenomenon as a threat, we should think of it as offering unlimited opportunities to use this social trend to support innovation. Perhaps failing early can be accomplished by testing the reaction of the groundswell to new ideas and prototypes as an integral part of a company's innovative process. We just have to be prepared to listen to the groundswell. Charlene Li is an influential thought leader on emerging technologies, with a specific focus on social technologies, interactive media, and marketing. In January 2009 Fast Company Magazine Staff identified Charlene Li as one of the "9 thought leaders who are changing our ideas about technology." Li is the founder of Altimeter Group, which provides speaking and consulting services to organizations looking to understand and thrive in a new economy driven by social media tools and techniques. Previously, she was a Vice President and Principal Analyst at Forrester Research. She joined Forrester in 1999, after spending five years in online and newspaper publishing with the San Jose Mercury News and Community Newspaper Company. Li is one of the most frequently quoted industry analysts and has appeared on 60 Minutes, The McNeil NewsHour, ABC News, CNN, and CNBC. She is also frequently quoted by The Wall Street Journal, The New York Times, USA Today, Reuters, and The Associated Press. She is a much-sought after public speaker and has presented frequently at top technology conferences. 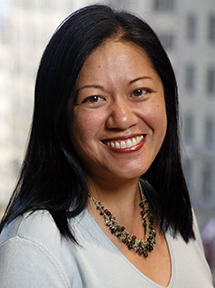 Charlene Li is the co-author with Josh Bernoff of Groundswell: Winning In A World Transformed By Social Technologies (2008).